“Cory’s a good dude, but Tofurky is a crime against humanity,” Sasse told The Daily Caller News Foundation. Booker told VegNews in February as other countries become more prosperous, American’s meat-eating habits are becoming unsustainable. “You see the planet earth moving towards what is the Standard American Diet,” Booker told VegNews. Agriculture manufacturing is one of Nebraska’s largest industries, which includes beef, pork and commodity processing. At our weekly Nebraska breakfast today, ⁦⁦@NebraskaDems⁩ Party Chair @janekleeb apologized for the crazy anti-agriculture talk from National Dems. Nebraska also consistently ranks as a top state for the cattle industry, according to Beef USA. 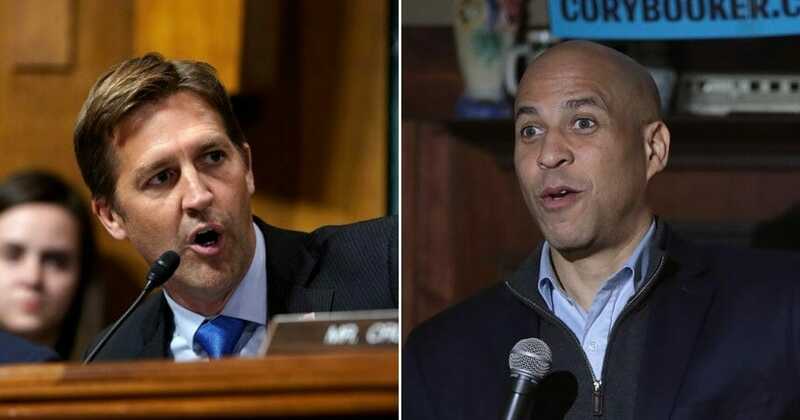 The New Jersey senator announced on the first day of Black History Month he was officially seeking the Democratic nomination to challenge President Donald Trump for the presidency in 2020. If elected, Booker would become the United States of America’s first vegan president.